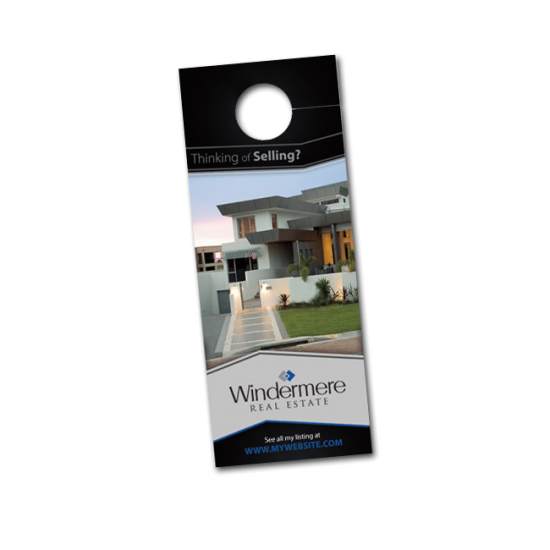 Door Hangers...A very powerful marketing tool! What better way to promote your brand or service than to greet the customer at his door with your message. The door hanger is definitely one of the best ways to ensure the potential customer sees your advertisement. Paired with some great artwork and a powerful message your door hangers print job will work wonders for you. Door hanger printing is one of Printing Frog's specialty so have yours printed today!